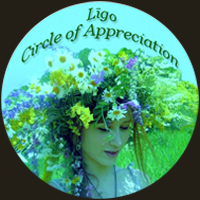 Thank you, Marsha Lee at: http://tchistorygal.wordpress.com/2012/10/07/ligo-circle-of-appreciation/ for your delightful words about my blog and for inviting me into the circle. Gavin’s blog, Noir at: http://sedge808.wordpress.com/ displays regular postings of urban black and white photography. Gavin is a very talented photographer whose work artistically inspires me. J.E. Lattimer has three blogs: Fictional Machines at: http://fictionalmachines.com/ – contains his original short stories and photography, Mysteries of the Wasteland at: http://mysteriesofthewasteland.com/about/ – contains his original artwork and Arcane Arrangements at: http://arcanearrangements.com/ – consists of original writing and photography. Mr Lattimer’s work is refreshingly original and all three sites are worth the visit. Carl D’Agostino’s blog does make me smile. See for yourself by visiting I Know I Made You Smile at: http://carldagostino.wordpress.com/. As per the requirements, it has been my pleasure to refer two blogs daily until October 22nd. I would like to extend my very best wishes to all who I have referred here and well as to my readers.